This thing stays with you. With the official release of A Quiet Place just days away, the film’s writer, director, and co-star John Krasinski is fully immersed in the film’s press tour. While fans are by now well aware that A Quiet Place has scared its cast and early audiences half to death, Krasinski revealed this week that it has also been haunting its audiences long after they’ve left the theater. Krasinski stopped by The Tonight Show to talk shop with Jimmy Fallon for an episode that aired Tuesday. 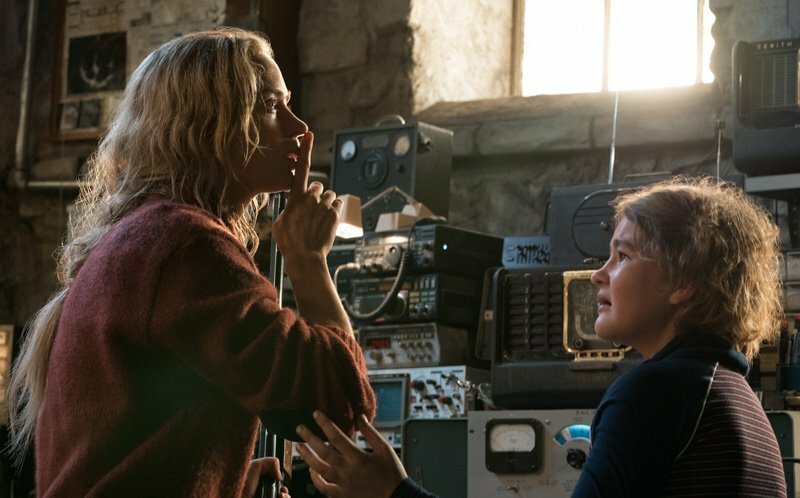 Discussing the film’s premise (“if they hear you, they hunt you”), Krasinski told Fallon that A Quiet Place so disturbed its viewers that they feared making noise at all — even after the film was over. Glimpses of that so-called “monster alien thing” surfaced fleetingly in the film’s last pre-release trailer, which dropped Monday. In it, the noise-hating creatures appear relatively large, hyper-fast, and perhaps not unlike something straight out of the Cloverfield multiverse. For those looking to brave Krasinski’s critical darling in theaters — and you should, it has an almost perfect score on Rotten Tomatoes — the film premieres Friday. For everybody else, maybe wait it out for his hoped-for Fantastic Four role.